Current revenue is $61,416.00 a year. 101 current rent is $1348.00, 102 is $1,300.00, 103 is $1350.00 and 104 is $1118.00 as these tenants have been in the building for over 10 years. Great floor plan has 3 bedrooms up, a computer room on the main and a full daylight basement. Units 103 and 104 have large fenced yards ideal for families with children and units 101 and 102 are ideal for tenants wanting a low maintenance lifestyle. Individual titles for each unit. 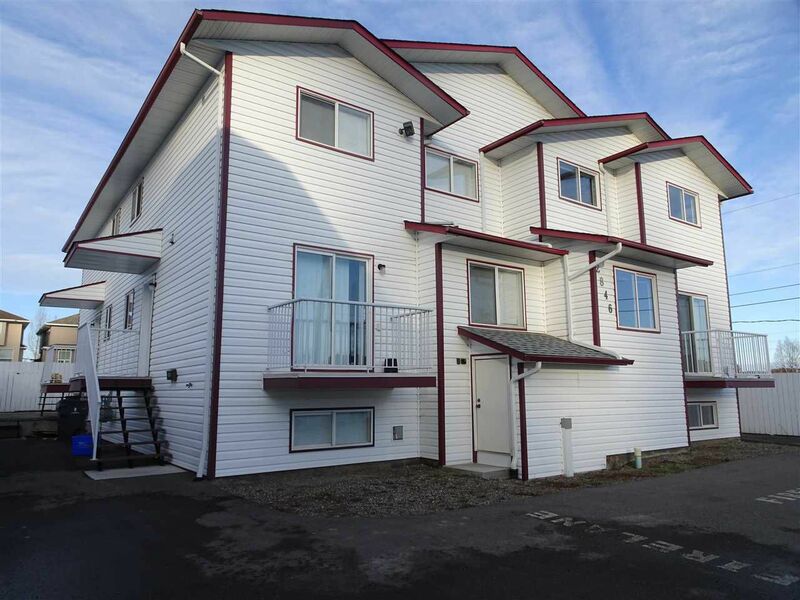 Current owners spent over $100,000.00 replacing stairs, retaining wall and repaving the parking lot which allows for 2 cars per unit, plus 4 visitor parking stalls. New roof and new hot water tanks. $40,000 spent on unit 101.